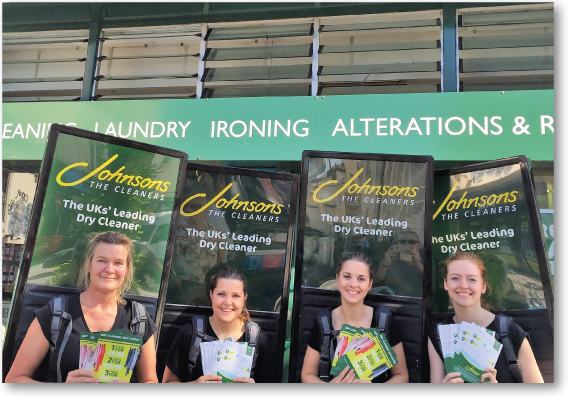 Johnsons Cleaners sought out eventeem to help with their leaflet distribution campaign, aimed at increasing awareness of Johnsons, specifically the various promotions they were offering, throughout the Brighton & Hove area. In order to achieve this, Johnsons wanted to give their campaign a hook, something that would stick in consumers’ minds longer than a simple leaflet. 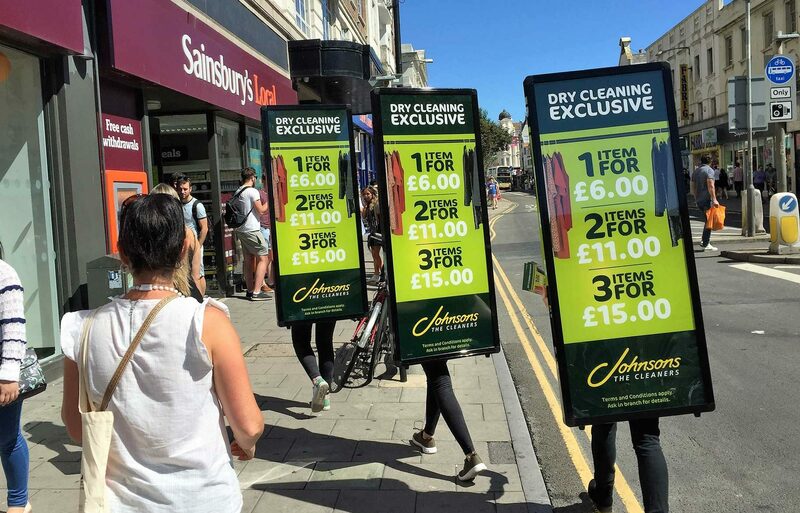 eventeem provided a team of three brand ambassadors led by an event manager, who distributed leaflets outside three Johnsons stores. In addition, our illuminated MediaWalkers stood out from the crowd, helping to increase reach in high footfall areas. This was particularly helpful when moving between locations, ensuring the promotion remained highly visible at all times.